There is one present under our Christmas tree. It’s from our older son, and addressed to his brother. He’s had it bought and wrapped up for weeks. It was under the tree the minute the tree was decorated. It’s hard to tell who is more excited about the present: the giver or the receiver. I almost think the giver is. Both of our sons enjoy giving gifts to others. However, they both need to be empowered in different ways. Do you have the same situation at home? Or, would you like to empower your kids to enjoy the act of giving this Christmas for the first time? Empowering your kids to come up with their own gift ideas. Our older son is much like his father, he is aware of what the people in his family are interested in and always thinks of some way to give a gift that is related to those interests. Often they are handmade, but this year, for the first time, he spent his own money on a gift for his brother. Not all kids are like this. Our younger son often needs more guidance than our older one does. You could give your children a list of ideas to choose from for family members, everything from items that don’t cost very much, to ideas of gifts they could make. However, we’ve found that empowering our children to come up with their own ideas for gifts gives them more joy in the giving, because the idea was their own. Help you children to come up with a list of likes and interests of family members and brainstorm together what they might do to thoughtfully give something related to those likes. This will be a good habit that will serve him or her well throughout life. It might require you to think differently about gift giving as well (it has for me!). Empower your kids to buy. We have never bought gifts from our kids for other family members. They have always tended to give handmade gifts. I’m not against the idea of buying gifts from our kids, but we couldn’t think of a way to give our kids a sense of ownership over the present (besides helping them come up with the idea), when we’ve worked for the money and paid for the item ourselves. Just recently, my sister-in-law gave me a great idea to remedy this. She had her kids do a few chores around the house to earn money that they could then use to buy gifts for family members. The dollar value of the chores was not necessarily equal the dollar value of the gift, but her kids now have a sense of ownership and pride in having earned the money to buy a gift. It has also instilled the idea that presents cost money and that money must be earned. You could have your children pool their earned money together to buy one gift, or, if it’s more practical, you could allow your children to contribute the money they’ve earned towards a larger gift that they give together with you. If possible (and if they can keep a secret! ), allow your children to pick out the item with you as well. Whatever you do, I hope your children will learn the value and joy of giving gifts this Christmas! We’re in the beginning stages of empowering our kids to give at Christmas. What ideas have you used successfully over the years? Please share them with us! 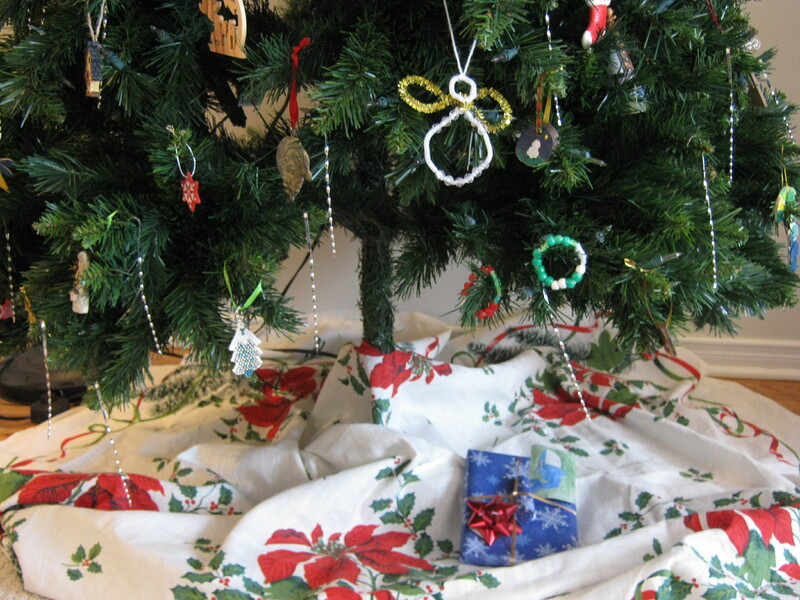 ← How Do You Battle the War of the Christmas Wish Lists?